Our Chopper Special is a must have for any motorcycle enthusiast. 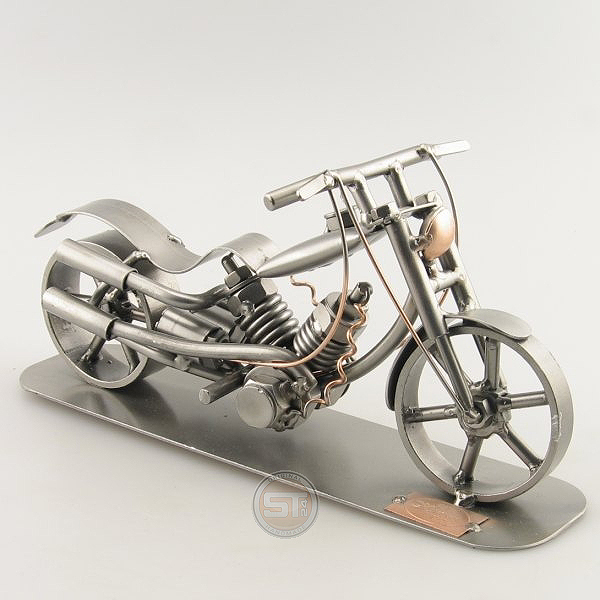 We created an original chopper all from steel, and miniaturized it so it can fit on your desk at the office, in your living room, or in the shop. The sleek styling makes this classic piece work in any room. 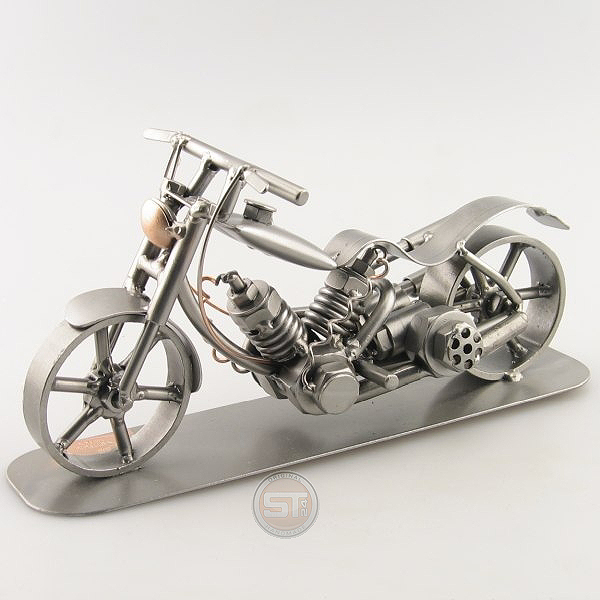 Make the Chopper Special Statue a unique personalized gift for the chopper lover in your life when you add engraving to the design! Any motorcycle lover will appreciate such a uniquely cool gift. Coated in a transparent film to preserve its luster and shine.